Located at the entrance to Tangyue Village in the west of Shexian County, Tangyue Memorial Archways, a complex of 7 arches, are the biggest existing and best-preserved arches in Anhui Province. 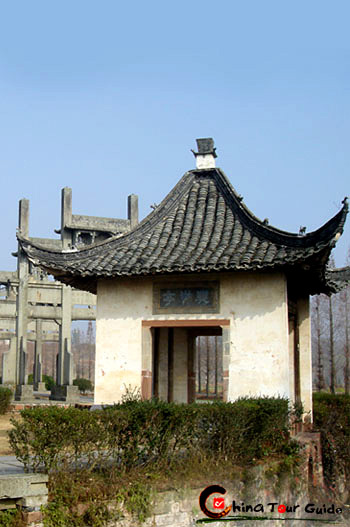 The archway complex was listed as a Key Cultural Relics under State Protection by the State Council in 1996. The arches are made of massive stones from Shexian County itself, and no nails were used in the construction. 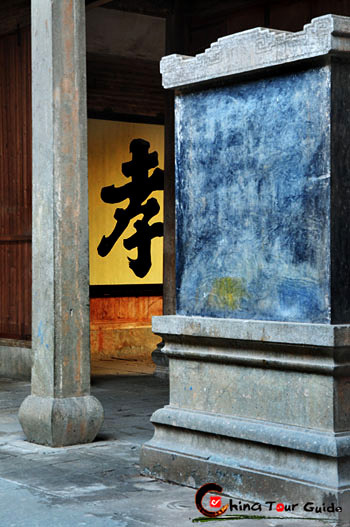 A large number of beautiful Hui-style carvings can be found on the arches. The stone archway is a unique architectural form in China. They were usually erected at the entrance to a town, or a street. Stone archways were built to honor individuals who made great contributions to the dynasty, or who were considered role models. The design and construction of each arch had to follow a rigid hierarchy. The number of pillars that supported the arch, the words, and designs carved into them were closely associated with the status of the person honored. The Memorial Arches is a set of seven arches built by the Bao family of Shexian Town during the Ming and Qing Dynasties. They were built along a curving road leading to Shexian County. The seven arches represent the moral yardstick set by the family for their descendents to live by: loyalty, filial piety, moral integrity, and righteousness. Three of the seven arches were built during the Ming Dynasty, and the other four were built during the Qing Dynasty. The oldest arch was built during the reign of the Yongle Emperor (Reign 1402C1424). These arches have been used in numerous Chinese movies including the most recent Jet Li film "The Warlords". Xiao (Chinese) - Filial piety which was regarded the first priority of all human virtues in ancient China. Ancient building in the shape of an official hat of ancient China - it was believed that who with a wish to be an offical walked through it, their wish would come true.